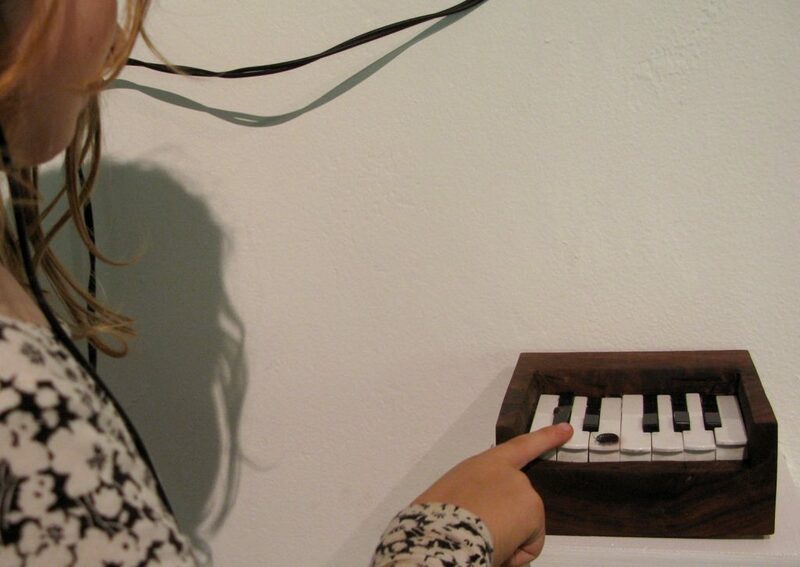 Viewers interact with a nature responsive to human input/output. 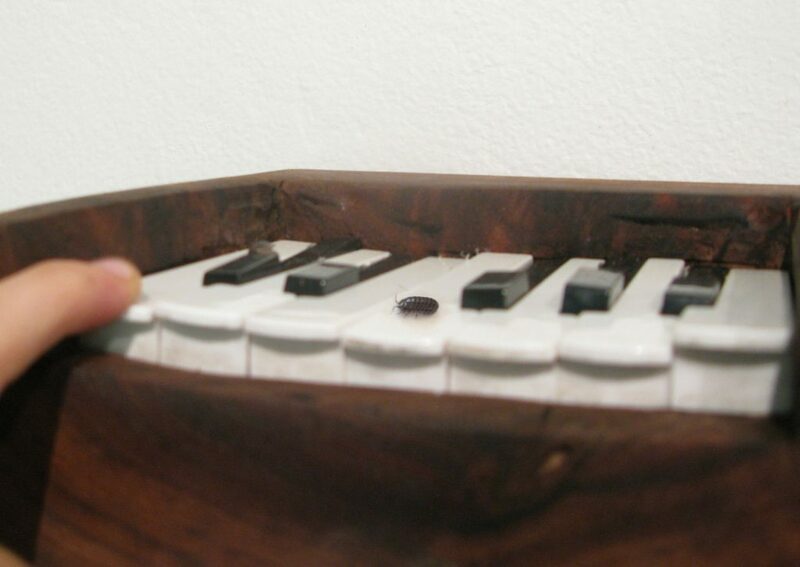 The roly-poly piano is tuned to reflect changes to Earth’s global mean surface temperature. 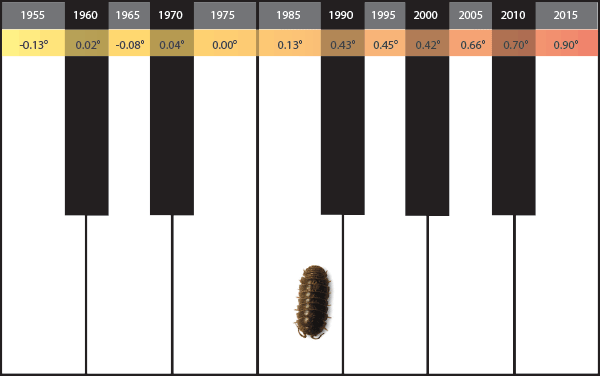 Together, the human viewer and the roly-poly play a melody with notes tuned to reveal Earth’s temperature shift over the past decades. 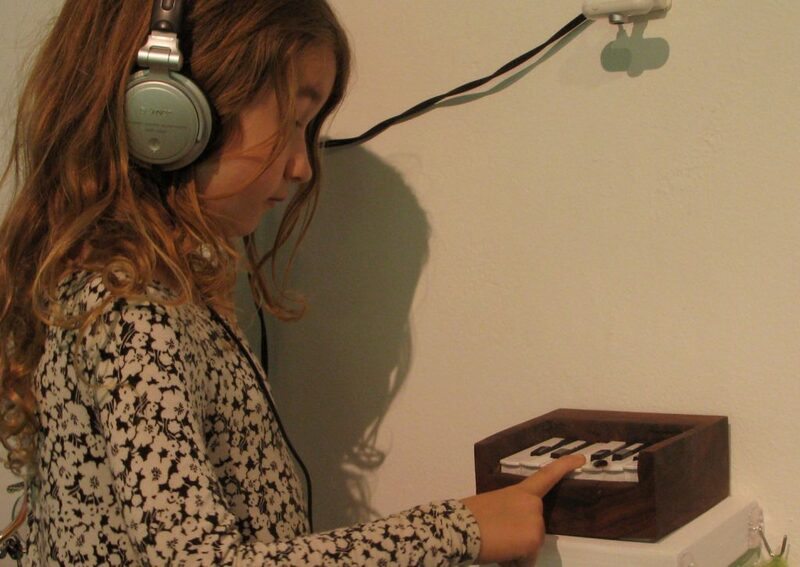 Apart from musical performance as a type of play, the piece also plays with data. Pianissimo sonifies climate change: the keys present a timeline of the past decades, with each note skewed according to the shift (ever increasing, ever sharpening notes) in Earth’s mean global surface temperature. 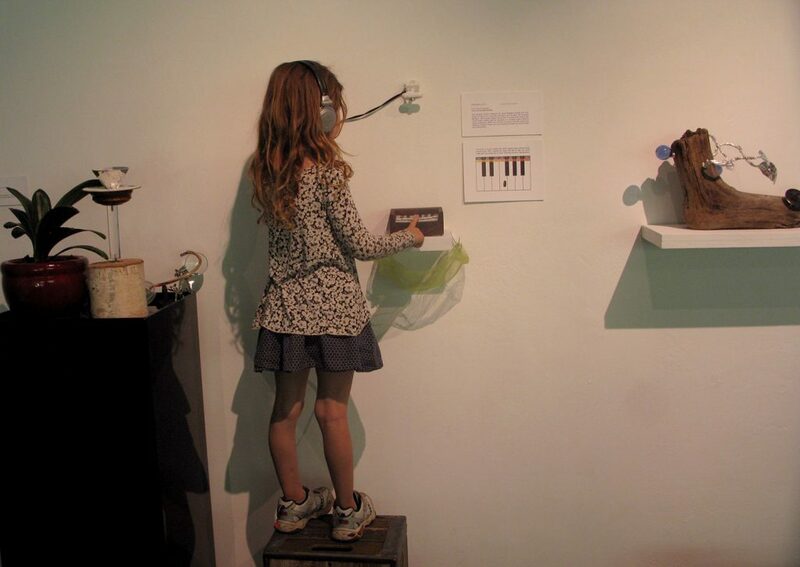 The League’s interactive devices exhibited at Jaus gallery in Los Angeles and at A Ship in the Woods in Escondido, CA. 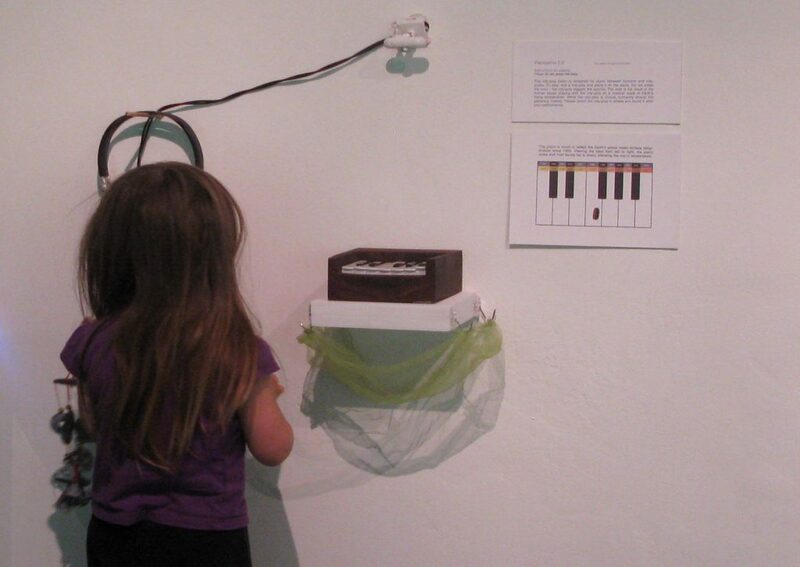 “Step up and play” is modus operandi for the League’s interactive installations. 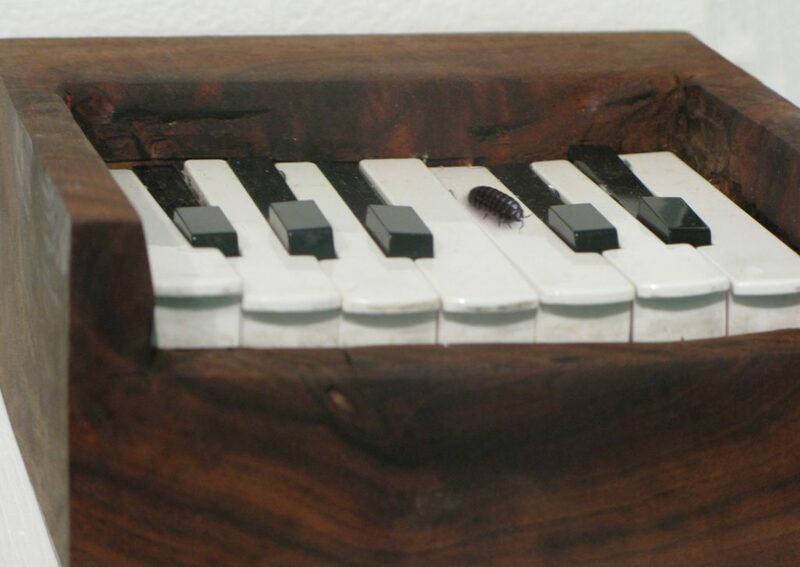 Viewers were instructed to find a roly-poly outdoors and, after a short performance, returned the roly-poly to where it was found.